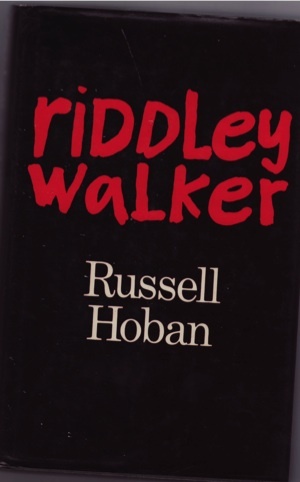 Russell Hoban’s novel Riddley Walker is a bit like Walter M. Miller’s A Canticle for Leibowitz mixed with Anthony Burgess’s A Clockwork Orange. 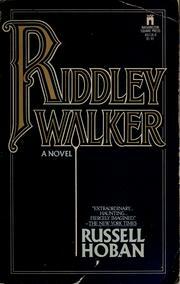 Set in a post-apocalyptic England that resembles the Iron Age, Riddley’s written in this odd, “degraded” style of English that is difficult to parse at first but after a bit takes on a poetic power. Another conceit of the book is that puppet shows like Punch & Judy mixed with Medieval morality plays are used by the government to communicate official announcements. 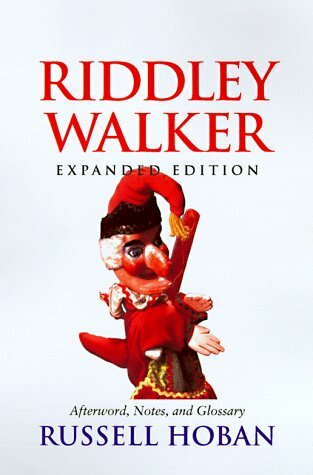 Riddley digs up an old Punch puppet and this sets him over the fence and wandering the outside world. Hence the appearance of Punch on two of the covers. Those two covers at least give you some idea what to expect in the book. 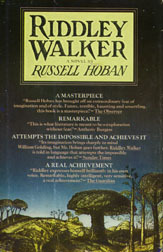 The second cover, full of quotes calling the book brilliant and what not, looks more like a back cover, and the third and fourth covers look like in-the-know covers, by which I mean that unless you’re in the know already those covers aren’t going to tell you anything about the book. 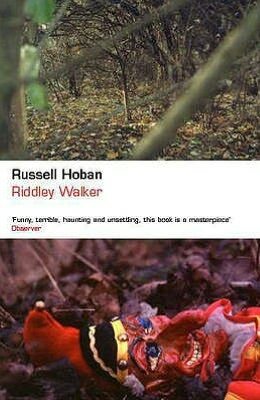 Regardless of the cover you find, it’s a great book and worth checking out.